Sustainable production of Cassava / Tapioca in Sub Saharan Africa, if supported by local institutions and stable commercial partners, has the potential to favour industrial development in rural areas. Wide range of adaptation for rainfall (500-8,000 mm per year). High productivity: it produces more calories per unit of land than any cereal crop. Plant varieties fall into 2 main groups of bitter and sweet speciesplants. The roots of the sweet variety are usually boiled and then eaten. The roots of the bitter variety can be either soaked, pounded and fermented to make a paste (such as ‘fufu’ in West Africa), or given an additional roasting to produce ‘gari’. They can also be made into flour and starch, or dried and pelletized as animal feed. 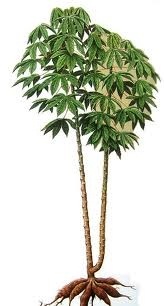 The cassava plant contains two toxic substances, linamarin and lotaustralin. Sweet varieties of cassava produce little quantity of these substances, whereas bitter varieties may produce more than 1,000 mg per kg. If roots of bitter varieties are not duly processed and the diet lacks protein and iodine (as occurs during famines and wars), cyanide poisoning can cause fatalities. Despite that, some farmers prefer to cultivate the bitter varieties, possibly because the cyanide helps to protect the plant from potential pests, and possibly because the texture of certain food products made from bitter varieties is preferred to that of sweet cassavas. Cassava, which was introduced to Africa from South America in the 16th century, is the most productive source of carbohydrates and produces more calories per unit of land than any cereal crop. Through the 2000s areas cultivated with cassava has expanded considerably. Although the nutrient content of the roots consists almost entirely of starch, the leaves are high in vitamins, minerals and protein and, processed as meal or eaten as a fresh vegetable (‘saka saka’), provide a useful source of nutrition in many parts of Africa, especially in the Democratic Republic of the Congo (DRC), the Congo basin generally, Sierra Leone, Malawi, Mozambique, Niger, Tanzania and Uganda. The crop is very popular also in South East Asia. Thailand claims to have largest market share of exported Cassava products with approximately 88 percent of the entire market. However, the export trend of Thailand has declined as a result of the reduced import demand by half of the previous use by of the EU whose past import had been more than 50 percent of the world import. Other importing nations such as the People's Republic of China (PRC), Japan and Indonesia formerly did not consume much of the products but they, PRC in particular, increased their demand after 1999. These caused a major upward shift in the world export. It is notable that the PRC increased its demand for cassava products to compensate the needs for animal feeds in its livestock industry. The Thai cassava exports include pellets, chips, flour and sago. As the major export item, pellets had 80-90% share of the total export and EU had been importing from Thailand 60-70% of its total cassava imports. The export reduction impact upon Thailand since 1993 was due to the launch of the Common Agricultural Policy by EU which pulls down their feedgrain prices in a major effort to provide incentive to more use of the domestic grains in place of the usual use of cassava pellets. At the same time, Thailand exercises voluntary restraint of limiting the annual pellet export to 5.5 million tons on the average under the agreement that EU provides assistance for cassava replacement cropping in the bilateral attempt to reduce the cassava planting. The cassava flour is the second export item following the pellets. Its share ranges from 8-30 percent of the total export. The flour export value continues to show a rising trend of 10 percent with the share of 18 percent in 1992 which increased to 62 percent in 2000. The foreign demand for Thai cassava flour has been expanding and its main importers have been Japan, South Korea and Taiwan. However, competition is stiff with substitutable potato flour and corn flour from sources in Europe and America. Only if the price of the Thai cassava flour is comparatively not quite high, then its consumption potentials seem to become greater. In addition, quality of the flour is another main variable that should be brought into account. As Thailand's major markets for the cassava products are limiting and subsequently in seeking new market access, it has launched emerging market program with certain policy of granting special export quotas outside the EU market. However, the result is not very fruitful since feeding practices using cassava product as one of the ingredients are not yet widespread and the product has several substitutes. (excerpt from FAO document). Therefore, African states who would like to promote this sector will need to establish parnerships with other countries to ensure viable and stable exportation routes. 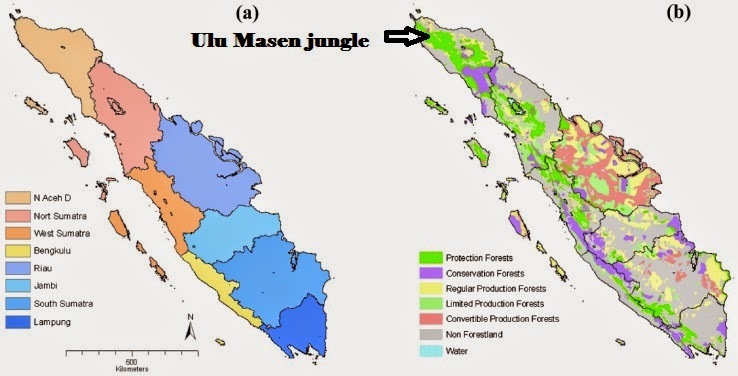 An interesting article published in the August 2014 issue of Conservation Biology, a scholarly journal by Wiley-Blackwell, outlines the findings of a pilot project implemented between 2008 and 2009 by the Government of Indonesia in collaboration with Fauna and Flora International, a UK charity, in the Ulu Masen jungle (Aceh Province - Sumatra) . The project was initiated by the local institutions to cut the high deforestation rates registered in the country. For this purpose the government introduced in the area a UN REDD+ scheme (Reducing Emissions from Deforestation and forest Degradation). With the assistance of a community-based informant network more than 190 forest offenses were reported to the local law enforcement agencies. The police intervened with 86 field operations, confiscating illicit vehicles, equipment, and timber, and arresting 138 illegal logging suspects. From 45 cases subsequently monitored, 64.4% proceeded to court, from which 90.0% of defendants received a prison sentence or a verbal warning for a first offense. The success of the initiative was strictly related to the authorities' capacity to enforce law when tackling offences. Funding that could be promptly accessed. However, as illegal logging still persisted at apparently similar levels at the project's end, the experience of this project shows that efforts need to be further strengthened. The main theme of the upcoming conference will be "The Future of Hydrocarbon Exploration: Drilling Deeper, Searching Wider". The topic reflects the Federal Governement will already stated in previous editions to intensify the exploration and exploitation of frontier areas. Minister Alison-Madueke declared in 29th edition that the combined efforts of stakeholders and NAPE experts is essential to support the development of the national oil industry in the upcoming years. Recently, Nigeria’s crude oil production in June 2014 rose by 200,000 barrels a day to 2.15 million in June 2014, a Bloomberg survey of Organisation of Petroleum Exporting Countries (OPEC) producers showed. The increase in oil production is rare for Nigeria which has struggled to boost production amid militant attacks on oil infrastructure and lack of reforms. Nigeria has the potential to double crude production to 5 million b/d but is held back by a lack of reforms in the oil and gas sector, say analysts. Reforms such as passing the Petroleum Industry Bill (PIB), scrapping fuel subsidies, as well as improving security and rule of law, are seen by analysts as steps that could help get the sector to soar. “Nigeria won’t achieve a substantial increase in production until it passes the long-delayed Petroleum Industry Bill,” Ravi Bhatia, an analyst at Standard & Poor’s (S&P), said in a recent interview (excerpt from businessdayonline.com article).